A trip to one of today’s modern frozen custard or other specialty frozen treat stores often includes more than just the end item. Some of these stores proudly display of the equipment/ machine they use and it’s quite informative or at least consumes time, while customers for their orders. While you might think temperature is one of the primary control parameters, if you look closely at the gauges, you’ll see they measure pressure. The one on the left measures suction pressure and the one on the right measures head pressure. 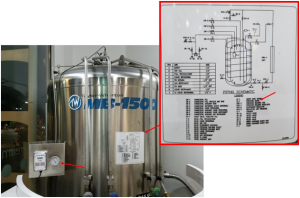 For these types of machines to be part of the Internet of Things (IoT), they will need to have sensors with an electrical output that can provide a signal for wireless transmission to someone monitoring the machine’s process. This could be the manufacturer of the machine, especially if it still under warranty, a local operator or the owner of the facility whose concern is that the machines operate within their specified parameters and don’t experience unusual down time. Two pressure gauges monitor the frozen custard process. 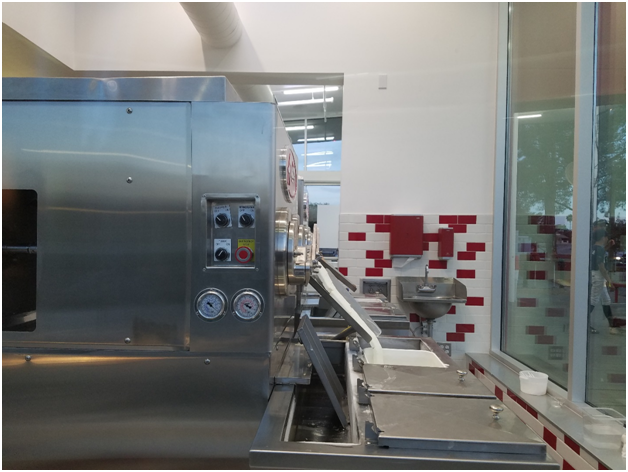 Another frozen specialty treat company shows the machine and some interesting details regarding its process. To have a pressure sensor with an electrical output that can be easily interfaced to a microcontroller and provide the signal that could be transmitted wirelessly, one of All Sensors SPA 402 Series Pressure Sensors would be a good starting point to evaluate a modern monitoring approach. 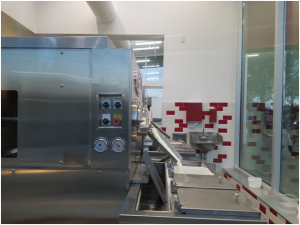 A single pressure gauge is used in this frozen treat machine.